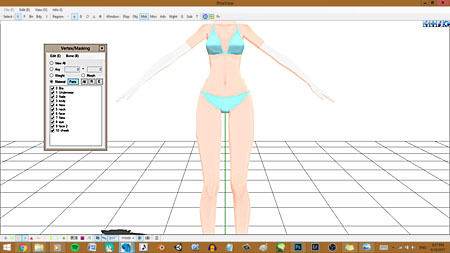 Easily Make a Stylized MMD Model From a Reference! “Click” to see full-size image. 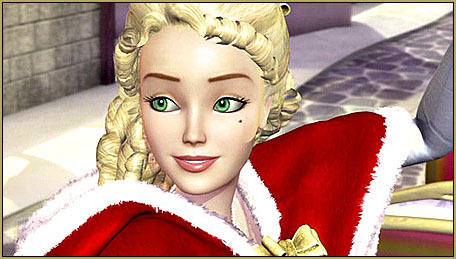 For Barbie, I’ve already edited a TDA base to fit my “Barbie-esque” image that’s in my head. 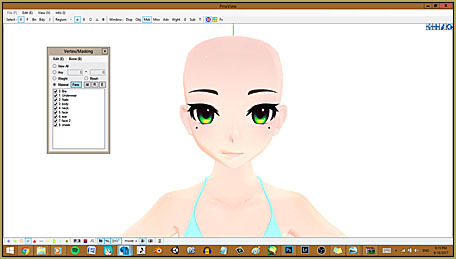 Now I’m going to go into Photoshop and edit my facial textures. Eden has beautiful, bright green eyes, a beauty mark on her left cheekbone and brown eyebrows. 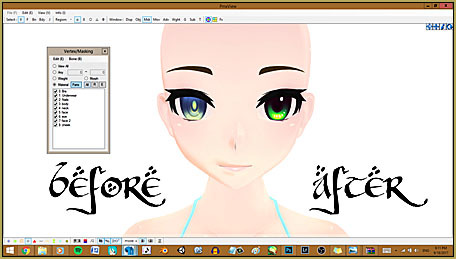 I’m going to edit the eyebrows and eyelashes really quick and then I’ll show you how to use an eye texture! 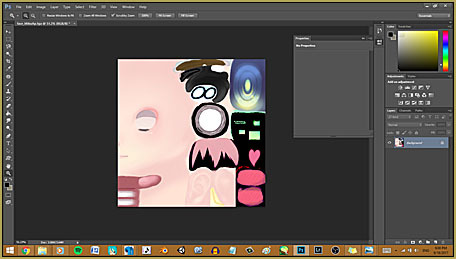 To edit a texture, go to deviantART and find what you want. I want to use a bright texture, so I used sterilEYES by HiLoMMD. 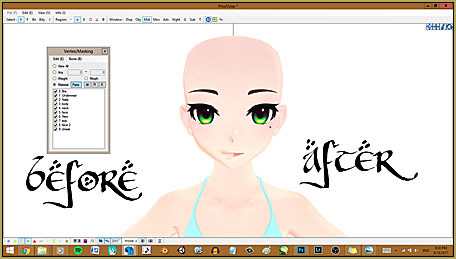 You can read about editing textures here! So Eden has a beauty mark. Let’s add it on! Oh, wait…it’s on both sides. What now? Well, you need to highlight one half of the face, right click on its designated box in the Msk tab and click Split! 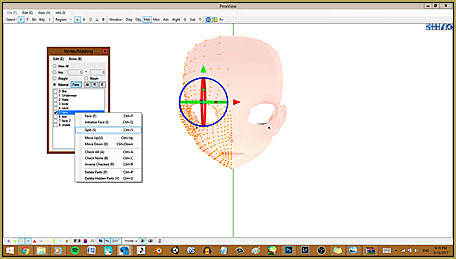 Make two files: one with the beauty mark and one without. Then add the beauty mark texture to the right side! Eden has pink lips. 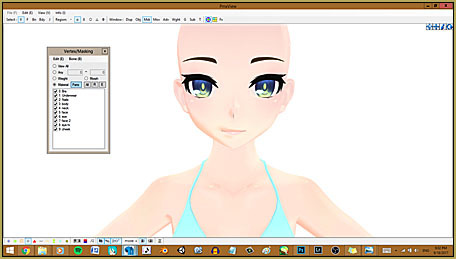 Just paint the lips in the texture file and you’re done with the face reference! Now for the body, I start on things that I can fix with a texture. The first thing that I can see is the gloves, which I never use a part for. Texture recolored to make white gloves! Now we wanna look for the shoes, dress, and hair. Remember, I always have a resizing tutorial! Fit it to the head and body and you’re basically done! You can add as many accessories that you want to make it look better. Keep track of all of the pieces you use and where you got them so that you can credit all of the artists who created the pieces that you use. Do not share your modified models without specific permissions from the creators and artists. Read the ReadMe in each download to see those permissions. 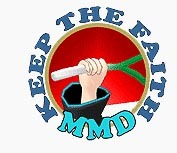 If you need to translate the ReadMe, do so, and then Keep the Faith… Do not break the rules or the hearts of the creators. Have fun with PMDE and MikuMikuDance! “I always have a resizing tutorial” = “I already have a resizing tutorial”? “Always remember, I have a resizing tutorial” I suppose.